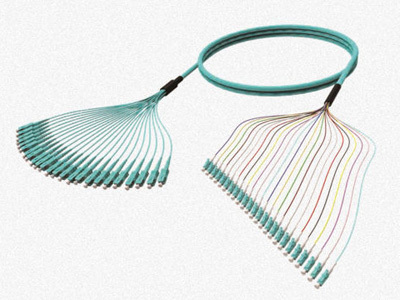 Aminite supply high quality and good price Mode Conditioning Patch Cords,Mode Conditioning patch cables,Mode Conditioning Fiber Optic jumpers;custom design Mode Conditioning Patch Cord. Mode conditioning patch cords are required where Gigabit 1000 Base-LX routers and switches are installed into existing multimode cable plants. These specialized cords help avoid Differential Mode Delay (DMD) effects that can occur when long wave transceiver modules operate at both single-mode and multimode wave lengths. The mode conditioning patch cord causes the single-mode transceiver to create a launch similar to a typical multimode launch. The single mode/multimode side is plugged directly into the equipment. 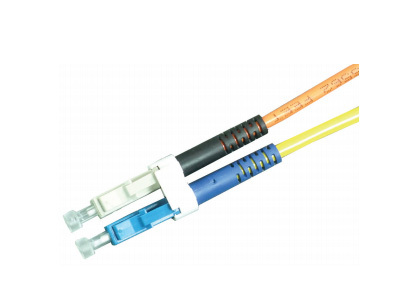 The duplex multimode side of the fiber optic patch cord is plugged into the cable plant side. 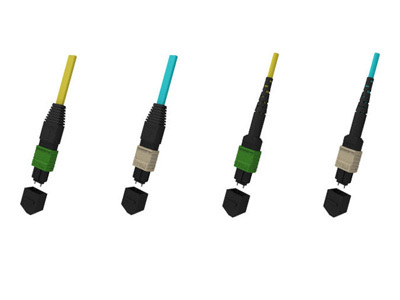 Our mode conditioning patch cable are custom made with any combination of ST, SC, LC, or MTRJ connectors at each end. A standard singlemode fiber is offset to a multimode fiber on one leg while the other leg consists of a multimode fiber. Our mode conditioning device is a permanent, low loss, option that will never require additional calibration. 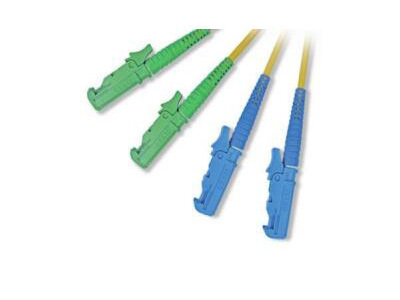 Our mode conditioning patch cable are compatible with 850nm or 1300nm Gigabit Ethernet on standard multimode fiber, and also can handle VCSEL laser source into standard multimode fiber. They are built to the IEEE802.3z standard. 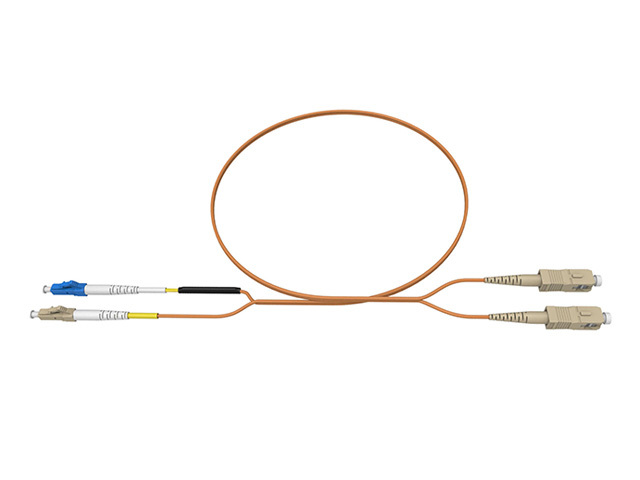 The conditioned channel consists of a single-mode (yellow) fiber which has been fusion spliced to a multimode fiber (orange) in an offset manner, with a precise core alignment and angle. The non-conditioned channel consists of one length of (orange) multimode cable. Light is launched on to the multimode fiber of the conditioned channel at a specific angle, giving the patchcord its mode conditioning properties. The fusion splice is protected by a black over-wrap. The other side has both an orange (multimode) and a yellow (single-mode) cable end. This side of the cable connects to the Gigabit transceiver equipment with the yellow (single-mode) leg connecting to the transmit side. The (right) side has two (orange) multimode cable ends connecting to the cable plant.